It’s funny how some of the beers I loved in my younger days do not stand the test of time. Budweiser, Corona and Coors Light were good when I was in college, but I think I’ve romanticized my memories of them. This is especially true of Guinness Draught Stout – a beer I was convinced was "world class" at one point, but now I realize how influenced I was by hype and hegemony. Guinness Draught Stout (not to be confused with the Extra Stout or the Foreign Stout) should be drank on tap if possible (hence the name). But since we can’t all go to bars whenever we want, the St. James’s Gate Brewery has been smart enough to sell it in bottles and cans with nitrogen widgets. Both containers pour quite rough, initially, but eventually settle down for a smooth flow. The beer produces a perfectly-proportioned, thick, white, creamy head after the billions of nitrogen bubbles stop surging. The body is seemingly opaque black, although upon close inspection it is revealed to be very dark ruby red. There isn’t much aroma to speak of. This is an Irish dry stout, after all, so it’s very dry and malty, perhaps even watery. Naysayers have a tendency to bash Guinness for being “too thick,” but one swig will prove to the most cynical skeptic this simply isn’t true. A watery taste and composition are the first things most drinkers are likely to notice. I used to think Guinness was bursting with flavor, but perhaps that was just in comparison to all the mass-market lagers I had been used to. Now that my palate is more sensitive I can detect more subtle ingredients, but I do not sense much of anything in Guinness. Still, there’s a difference between bad-tasting and mild-tasting and any flavor Guinness does have is mild. It has a very chalky, dry palate with just the slightest bit of almond taste. I don’t detect chocolate or coffee notes. 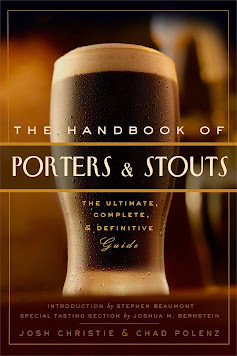 However, we must bear in mind that Guinness is, after all, an Irish dry stout - a type of beer that’s not intended to be an all-out assault on your palate like a hoppy India pale ale, for example. This is fine as it makes the beer very drinker-friendly, but I prefer my beers with intense flavor. At least other Irish dry stouts like Murphy’s and Beamish have something of a sweet finish from first to last sip. I found this to be true of Guinness during the first and last sips as they are the only time you are able to get a good mouthful of the creamy head. And can anyone tell me what temperature you’re supposed to drink this beer? Guinness.com doesn’t say. Most connoisseurs will tell you to drink it about 50 degrees, but the bottle says "serve extra cold." I always find a good rule of thumb to be the darker the beer the warmer it should be served. I drank the beer I used for this review at 46 degrees. If there is a reason to drink Guinness for anything other than the taste, it has to be the absolutely velvety smooth finish. The body is watery, to be sure, but the head is creamy and a bit sweet – making the first and last sips the best part of the beer. Most people don’t know just how light this beer really is. Consider this: at 4.2% ABV, Guinness is as potent as Bud Light and it has 22 less calories than Budweiser at 125. The 10 grams of carbs are a bit high, though. Still, as light in weight as the beer is, the body is equally light as it drinks. This beer will not fill you up or intoxicate you unless you drink it large quantities. I’m glad I gave Guinness Draught Stout one more look, because I’ve always felt such blind loyalty to it and never knew if it was justified. Not that I’m defecting to naysayers’ side, just that I realize this is a session beer if ever there was one and that’s not what I prefer as a connoisseur. I’ll drink it any day, and I’ll debunk lies about it, but you won’t find me jumping for joy about it.